Everybody needs glutathione in order to stay strong and healthy, but athletes may be at greater risk of forming a deficiency. Glutathione-SR contains a potent dose of reduced glutathione in a sustained-release formula that is NSF Certified for Sport®. Everybody needs an adequate supply of glutathione in order to stay strong and healthy. Athletes and others who experience regular physical strain may be particularly vulnerable to oxidative stress and in need of additional antioxidant support. Not only does Glutathione-SR contain a potent 175 mg dose of reduced glutathione in a bioavailable sustained-release formula, it is also NSF Certified for Sport®. Each capsule contains 175 mg of Glutathione in its most active reduced form. 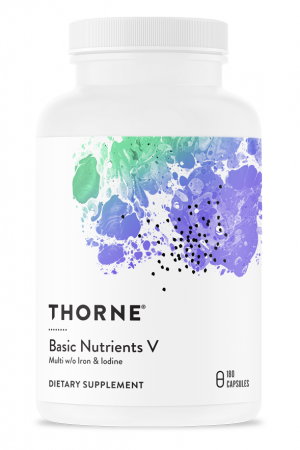 Sustained-release may greatly improve bioavailability and overall efficacy. Glutathione is essential to keeping the body detoxified and protected from oxidative stress. 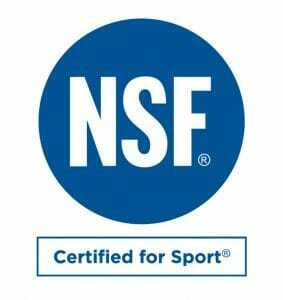 NSF Certified for Sport® products are tested to ensure the absence of more than 200 substances which are banned by major athletic organizations. Glutathione is perhaps the most important antioxidant in the human body. Not only is it the most abundant, with neuroprotective roles in numerous bodily systems, it is also necessary to regulate other antioxidants like n-acetyl-cysteine (NAC). For this reason, Glutathione is often given the moniker of “the master antioxidant”. Without an adequate supply of this ‘master antioxidant’, the body may be incapable of limiting accumulations of toxins and free radicals which cause oxidative stress and other forms of damage and imbalance to cells in a variety of organs and tissues. Glutathione is also essential for a healthy liver – the body’s central detoxifying organ. If the liver is fully nourished, the body will have a much easier time in reducing accumulations of harmful toxins. 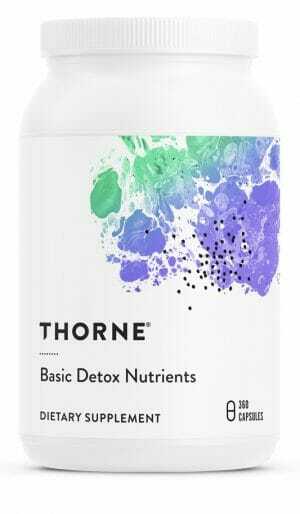 As such, glutathione supplementation may be a viable means of keeping the body’s natural detoxification systems functioning healthily. Athletes and others who put themselves through regular physical strain may be particularly at risk of oxidative stress. As such, these same groups are in much greater need of antioxidants, glutathione in particular. The increased use of antioxidant in recovery from exercise sessions longer than 60 minutes may also result in an increased chance for athletes to develop glutathione deficiencies. 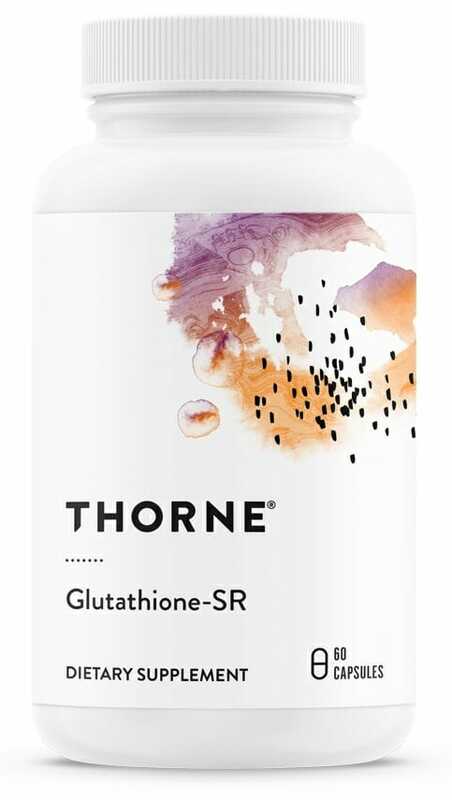 In an effort to create the first glutathione supplement which is specifically tailored to the needs of athletes, Thorne Research has developed these advanced sustained-release glutathione capsules using NSF Certified for Sport® ingredients. Other Ingredients: High and low viscosity hydroxypropyl methylcellulose, Magnesium Citrate, and Calcium Laurate (Time-Sorb®), Hypromellose (derived from cellulose) capsule, Leucine, Silicon Dioxide. 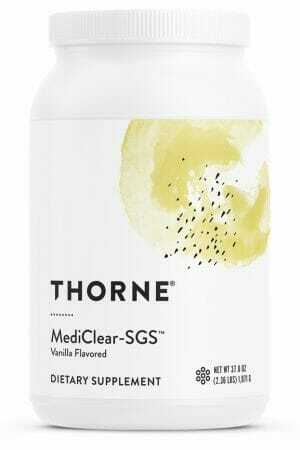 *Glutathione complexed with Time-Sorb®, a time-release matrix.